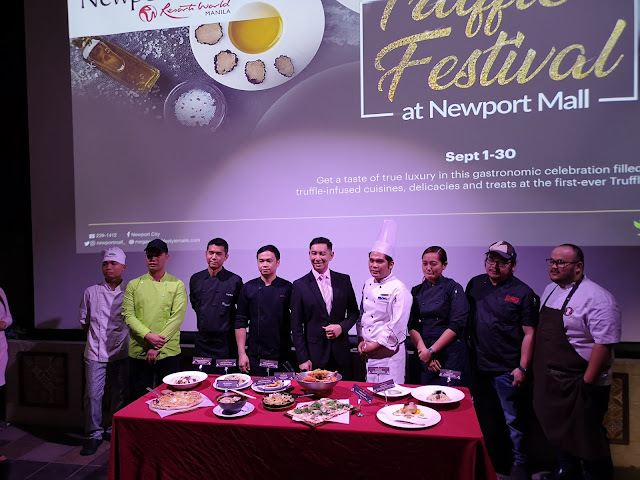 Newport Mall at Resorts World makes heads turn and stomachs churn as it rolls out this year's ultimate food craving event for the whole month of September!! 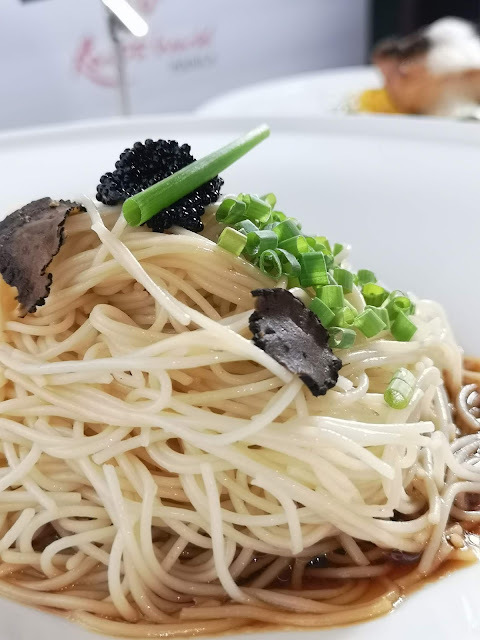 Truffle, deemed as one of the most luxurious and expensive food in the world, finds its way to Newport Mall with truffle-lovers getting the rare chance to taste an exquisite array of specialties made with this culinary gem hailed by many as the ‘diamond in the kitchen’. Running until Sept. 30, gourmands, foodies and the common folk are all equals as one can enjoy truffle-infused treats concocted by the renowned chefs of participating Newport Mall and Resorts World Manila restaurants. Each truffle-inspired dish is intended to bring diners to a whole new level of culinary indulgence. 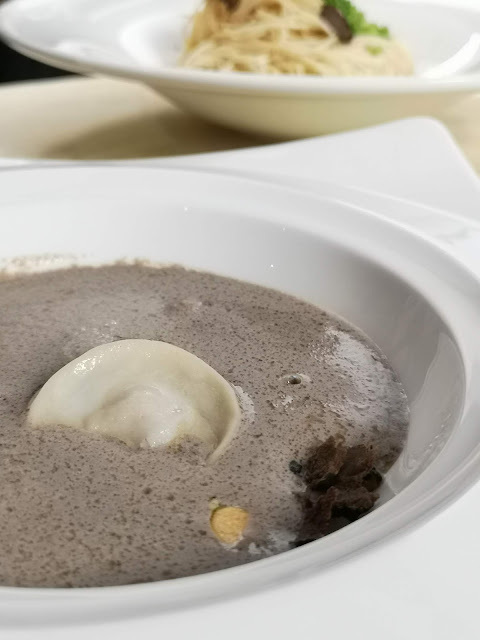 Diners can start the day with a hearty brunch at Parmigiano Ristorante Pizzeria, and order the Fettuccine Ai Funghi Porcini Salsiccia e Tartufo and Filetto Di Carne con Tartufo. 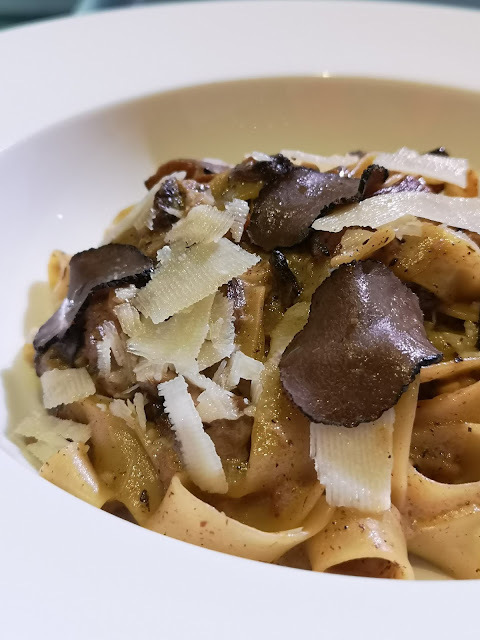 Fresh, handmade fettuccine is laden with wild mushroom varieties covered in truffle cream sauce, topped with Italian sausage, sliced black truffles, and freshly-shaved Parmigiano Reggiano. The Sizzling Black Truffle Bulalo Steak at LUMU Filipino Kitchen demonstrates how truffles can add depth to traditional Pinoy comfort food. 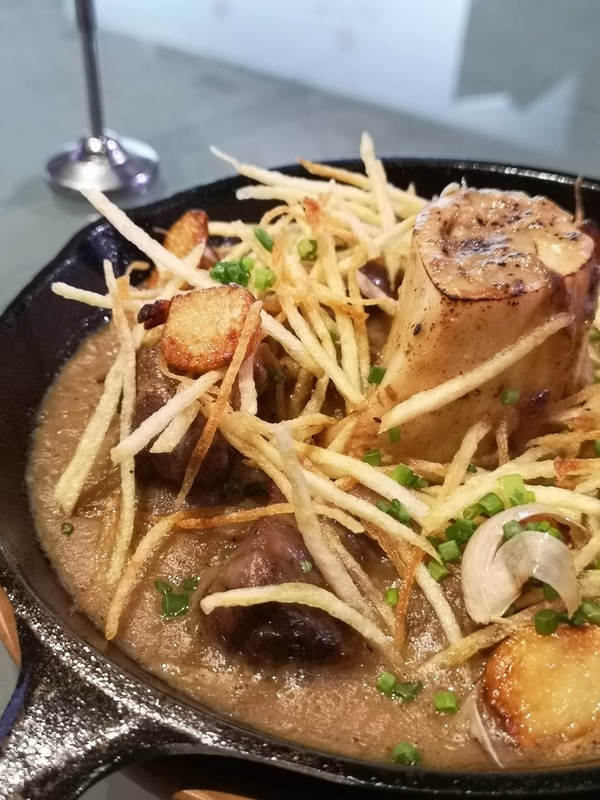 A sizzling steak plate featuring a generous cut of fork-tender beef shank with the marrow intact is swimming in truffle-infused gravy, and topped with potato allumettes and garlic crisps that altogether create a sinfully rich viand. 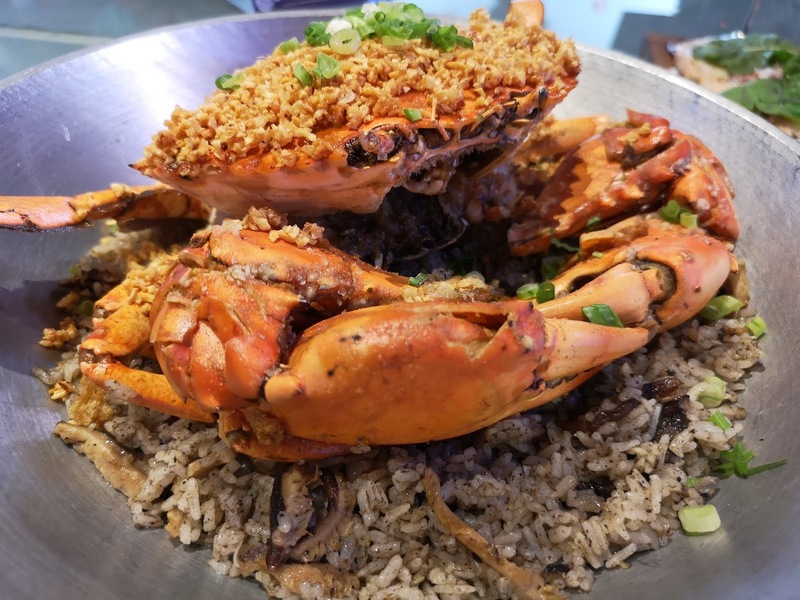 Guests who want their truffle meal with rice will appreciate the Garlic Crab with Truffled Mushroom Rice at The Red Crab Alimango House. 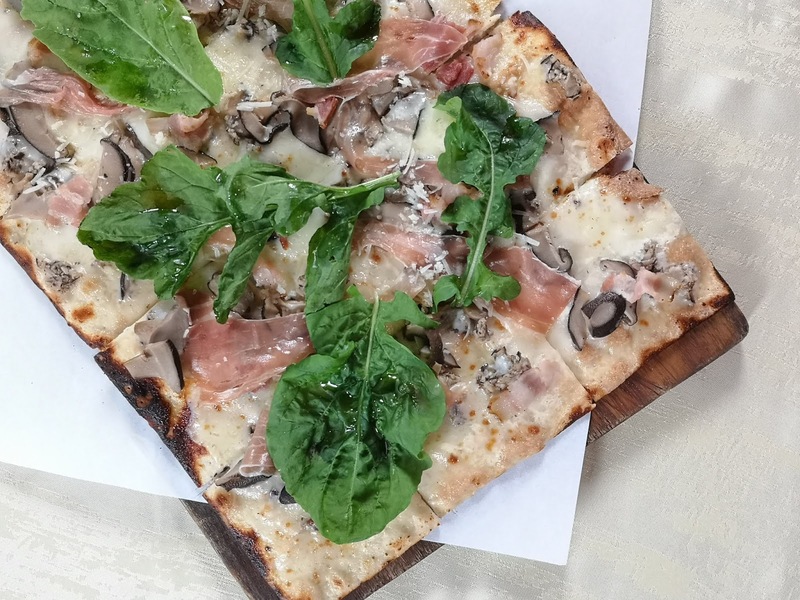 Given the truffle’s popularity in Italian cuisine, guests may have their fill of the flavor with Italianni’s array of four truffle-infused dishes: Italian Truffle Fries, Truffle Mushroom Pizza, Truffle Mushroom Risotto, and Truffle Chicken and Mushroom. French cuisinieres are renowned for their mastery over this exquisite ingredient, and Impressions, RWM’s signature French fine dining outlet, delivers a truffle trifecta in its set menu that of Cold Angel Hair Pasta with Black Truffle Ponzu and Caviar, Mixed Mushroom Soup with Black Truffle Duck Liver Ravioli. 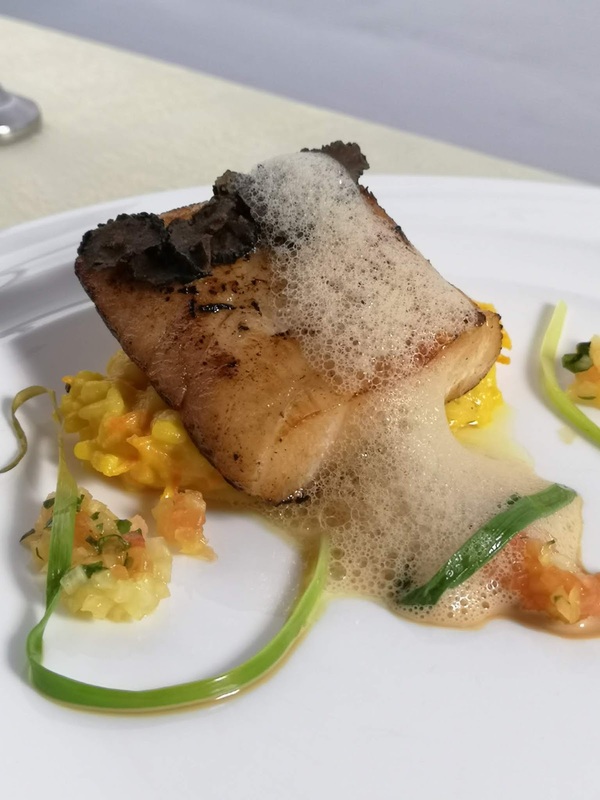 Revel with Impressions Chilean Seabass with Black Truffles, Carrot Risotto, Herb Salsa, and Soy Sauce Cloud. 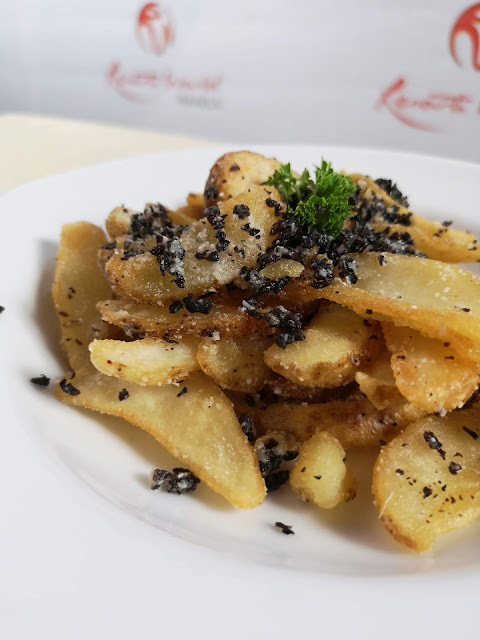 For energizing and truffle-rich snack options, guests can visit UCC and order the Black and White Truffle Fries – crisp potato wedges made more flavorful and edgy with black truffle bits, truffle oil, and parmesan cheese. 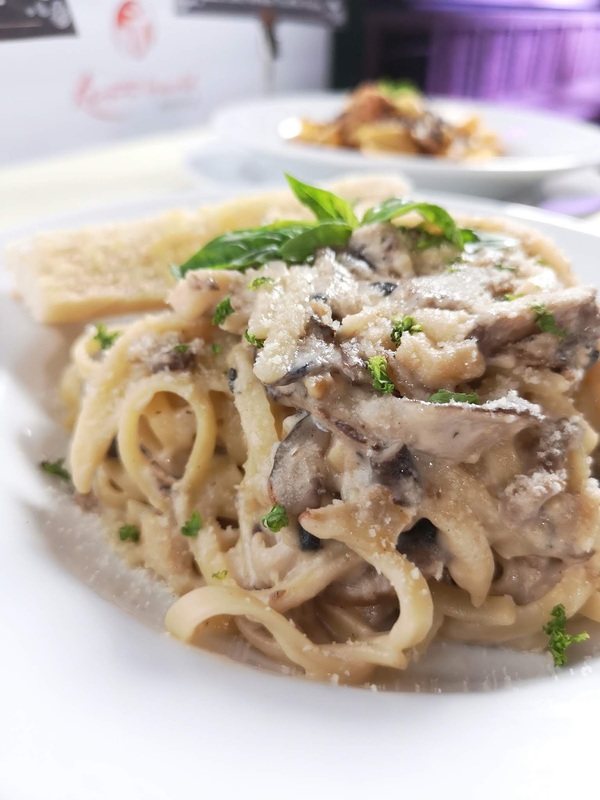 For a truly satisfying snack, opt for the Truffle Mushroom Pasta – linguine pasta, cooked al dente and tossed in white truffle oil, infused with mixed mushrooms, and finished with shredded parmesan cheese, with garlic bread served on the side. 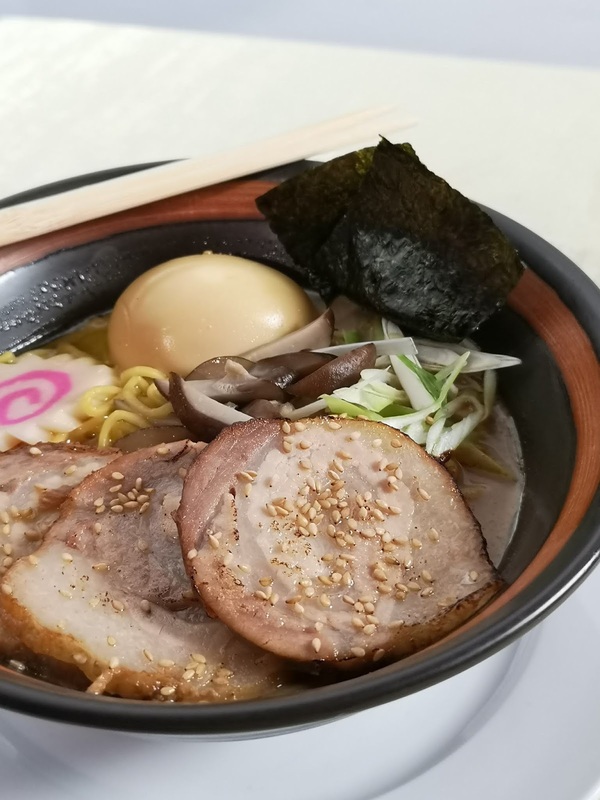 For those looking forward to an avant-garde dining experience, the Truffle Ramen at Mr. Kurosawa, is guaranteed to send anyone straight to Truffle Heaven. Truffle-lovers can also go on a gastronomic hunt and replenish their food cabin with truffle-inspired premium snack selections and other truffle products at the Truffle Market located at 2F The Plaza, on September 20-23 and October 4-7. As an added treat, Newport Mall guests can enjoy P100 off on Grab Car when they use the promo code: TRUFFLESATNEWPORT and get P100 off when going to Newport Mall from any point in Metro Manila for the whole month of September. Truffle Festival is the latest gastronomic celebration to be launched by Newport Mall at Resorts World Manila. Since 2015, it has been selecting a culinary gem to be feted in a month-long gastronomic festival during September that explores and expands the ways it can be enjoyed. The tradition got off to a sweet start with the Chocolate Festival where diners discovered that the seductive nature of chocolate goes well beyond desserts. Chefs at Newport Mall and Resorts World Manila restaurants put their talents to the test with the exotic, subtle flavors of matcha, and their culinary creativity was rewarded by the strong public reaction to the Matcha Festival of 2016. Filipino flavor took its turn in the spotlight with the Coco Fest in 2017. Perceived by locals as a common household ingredient, Newport Mall and RWM chefs showed the coconut’s ability to add texture, richness, and depth to dishes. RWM members can redeem their points in participating Newport Mall dining outlets and at RWM signature restaurants. Members can also avail of special deals and discounts at select merchants. Refresh and Rejuvenate with Goju Drinks!